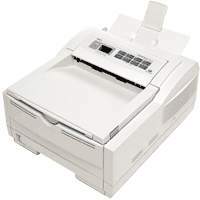 The Okidata 10 is the base model in a series of printers that also includes the 10e, 10i 10in, which are designed to handle small workgroups due to their basic package of features. The 10 is only fit to handle low volumes because it prints a slow maximum output of only 10 pages per minute for monochrome text documents. Other than a few standout features such as its long-lasting and affordable OkiPage 10 printer toner and satisfactory output, this single-function monochrome laser device's handful of features are too simplistic to make it stand out from other similar entry-level units. The 10 is designed to handle desktop printing needs thanks to its compact size of 13x14x7 inches and weight of approximately 22 pounds. Its limited connectivity includes only a wired parallel interface that will require users to be in close proximity to their computer in order to print. Users with computers that operate with either Mac or Windows operating systems with be able to connect to the device, as well as install its provided drivers and software suite. 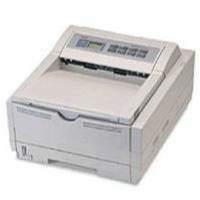 The 10 can handle a maximum duty cycle of 15,000 pages, but due its small built-in memory of only 4 MB and total media capacity of 250 pages the device is best suited for light-duty use. The unit's single cassette tray can handle a number of paper sizes including letter, legal, executive and B5, as well as envelopes and labels. The printer leaves out the option for automatic double-sided printing, which is useful when users are trying to conserve media. The device also leaves an LCD on the front control panel for updates on job progress, instead providing a few buttons and LED lights to notify when paper or Okidata 10 toner needs to be replaced. The 10 doesn't have the print system nor the color toners to support projects such as photos or color graphics, and is instead intended for basic monochrome jobs like text papers. 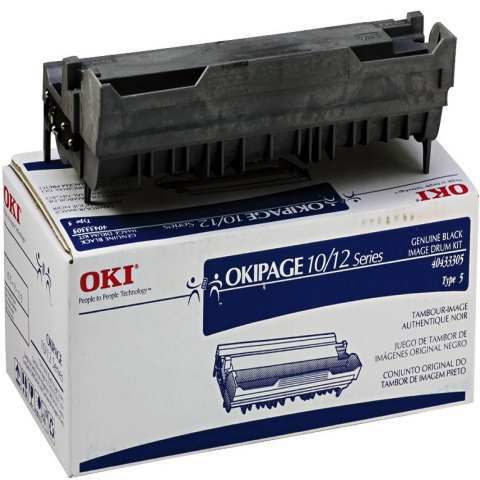 The machine can print documents with a maximum resolution of 600 dpi using its black OkiPage 10 toner. The unit operates with two supplies; one black Okidata 10 toner cartridge and one image drum that can last up to 20,000 pages. 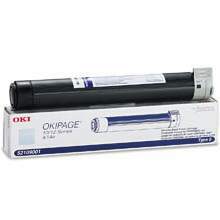 The black Okidata 10 toner cartridge has a decent yield of up to 2,000 pages and should be moderately inexpensive to replace. Whereas more advanced models in its class have the speeds, paper handling and design to support busy workgroups in small offices, the 10 falls behind in each of those categories and is only versatile enough to support small workgroups with low volumes. Those that only have monochrome jobs and don't mind being tethered to their computer with its basic wired connection stand to benefit from this printer's output and cost-efficient supplies.